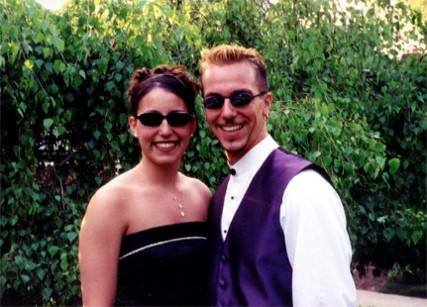 I remember it clearly: It was my first year at Microsoft right out of college and I was still rockin’ my blond spiked hair, earrings, and goatee. I went to my first customer event where we were meeting with C-level execs and wound up sitting down next to my VP. He turns to me and says “Wow, two earrings, huh?” Almost immediately I went to the restroom, took out the earrings, and have not worn them since. I’m a proud supporter of individualism at work across every domain, from personality to attire to organizational styles. Working with such broadly different personalities over the years has given me some of the most rewarding experiences as a leader and contributed immensely to my personal growth. I love working in technology for a number of reasons, one of them being its support of individualism across so many of those important domains. For me, it’s great to be able to rock flip-flops and shorts at work on a lava-hot day in NYC. At the same time, I agree with the author’s point that you have sometimes have to dress the part: either for a role you aspire to have, or for a customer you’re talking to. Today we’re meeting with a client in the financial services industry, so I’m sans flip-flops and am ready in my corporate gear (slacks + button down + blazer) to ensure my attire doesn’t get in the way of our conversation. This entry was posted in Article Responses and tagged attire, culture, dress, neato by affronti. Bookmark the permalink.